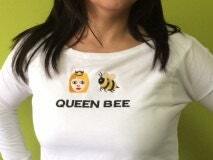 Queen Bee - The sweat shirt for Every Girl. Custom embroidered long sleeve french terry sweatshirts. 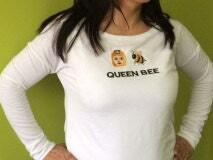 The sleeves are skinny so order next size up if you are on the fence about your size.